An antibody that coats erythrocytes; the cells do not agglutinate when suspended in saline, but do agglutinate when suspended in serum or other protein media such as albumin. Synonym(s): incomplete antibody (2) . 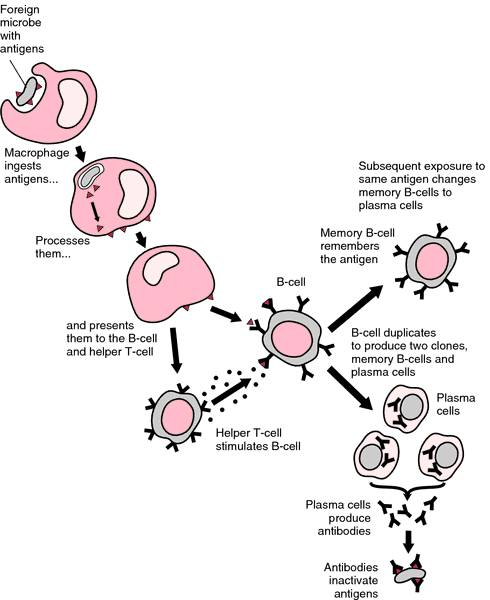 An "incomplete" form of antibody that may coat antigen, but which according to the "lattice theory" does not have a second receptor for attachment to another molecule of antigen; in the case of Rh+ erythrocytes, such an anti-Rh antibody may coat the cells but not cause them to agglutinate in saline; however, agglutination does occur when such coated cells are suspended in serum or other protein media, such as albumin, therefore called serum agglutinin. Synonym(s): incomplete antibody (1) .